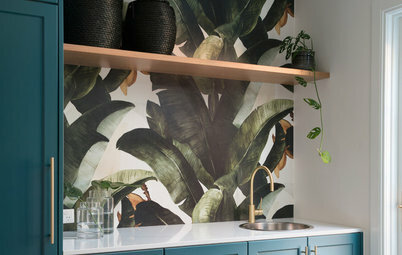 Fed up with the tentacle-like spread of electrical cords sprawling across your kitchen benchtop, dining table, and even the sofa? 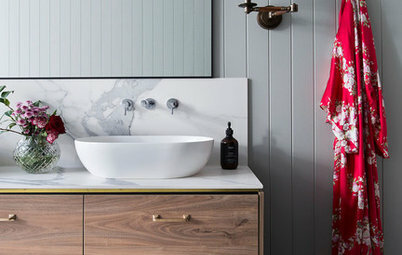 Sick of the sight of ugly devices in every room? There’s no escape from technology in our lives today, but there are ways to put it in its place. 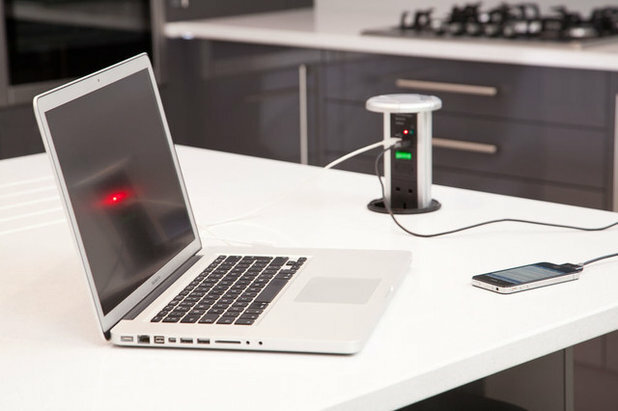 Have a look at these eight IT solutions to see if they could work in your home. Multiple cords, cables, chargers, leads – all the paraphernalia that comes with a device has to go somewhere, and stylish baskets on a shelf are a nicely low-tech solution to a high-tech problem. Maybe designate one for each type of device (phone, tablet and laptop) or sort baskets by family members, so you have an easy answer to the familiar, ‘Has anyone seen my charger?’ refrain. Most devices these days are pretty slimline, so tailor your storage to suit. 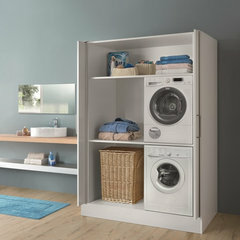 Instead of giving over a deep cupboard, see if you have slim space, such as at the end of a run of cabinets, to slot in a shallow design like this, with narrow shelves to prop the devices on. 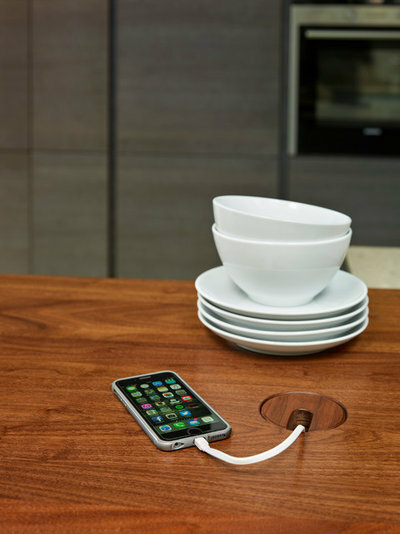 A smart solution to the problem of trailing charger cords, this benchtop has a special hole cut out of it so the charging lead can run down to a plug socket beneath the benchtop. 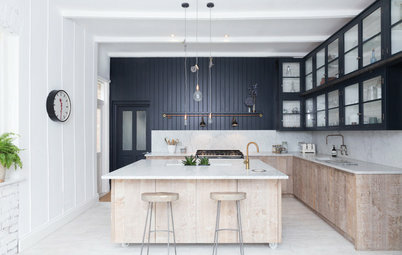 With technology so prevalent in our lives these days, it’s worth thinking ahead about solutions like this if you’re planning a kitchen makeover. Pop-up power points are another neat idea to incorporate into a benchtop. 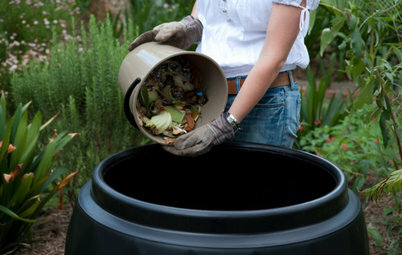 When not in use, simply push back down so they’re out of sight. Or try a socket hidden inside a wall cupboard, with space to store devices, too. 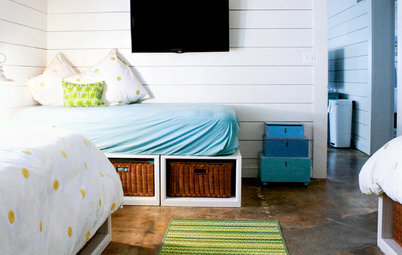 Love to curl up in bed to watch TV, but don’t like the idea of an ugly screen on the wall? There are lots of ways to disguise a late-night Netfllix habit, from hiding your TV in a cupboard to hanging a picture over the top. 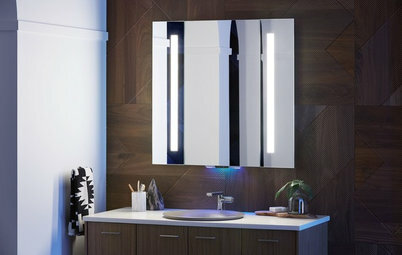 This clever mirrored TV is hiding in plain sight, only revealing its true self when it’s switched on. There’s no getting away from the fact that all the equipment that comes with tech is not pretty. 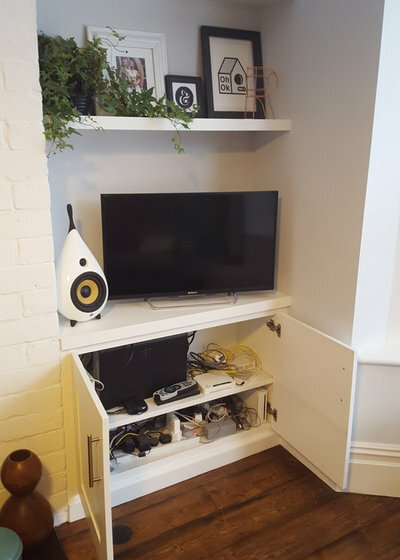 In a busy family home with games consoles, set-top boxes, DVDs and more, sometimes the best solution is a straightforward cupboard under the TV that can hide a multitude of gadgetry. The important thing is to keep on top of clutter with frequent culls, making sure that any devices that are broken or no longer used are disposed of (sold on, given away or recycled), along with the chargers, leads and other bits and bobs that go with them. Installing a multi-socket power point inside the cupboard is another good idea, so switching devices on and off doesn’t require the skills of a contortionist. Don’t just go for a chuck-it-all-in drawer of randomness – this design has an in-built power supply to charge multiple devices neatly out of sight. 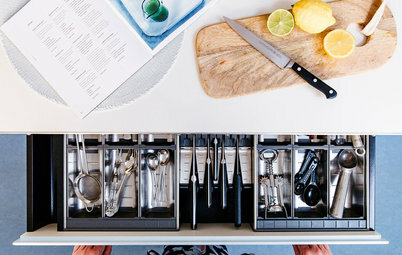 However, even without the hidden power point, a dedicated kitchen drawer is a good place to store devices – use a divider or wire basket in a drawer to keep everything neat and tidy. Talking Technology: Should You Get a Home Assistant? 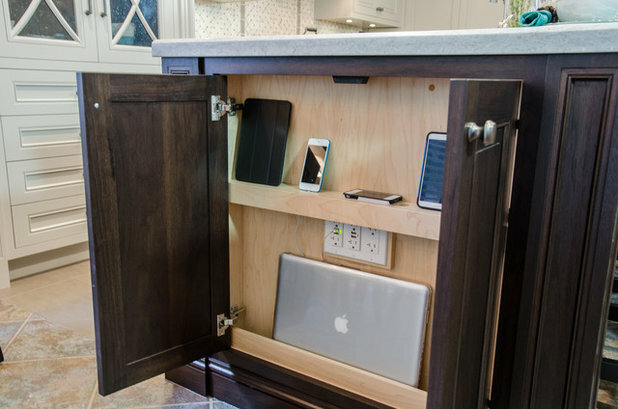 A desk in a cupboard provides an ideal spot to keep devices out of sight. Add in shelves and boxes to neatly store all your techy essentials, then shut the doors to hide everything away. 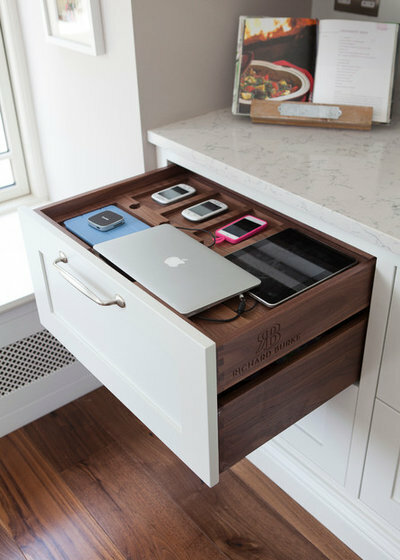 How do you keep tech tidy in your home? Share your ideas in the Comments, save your favourite images, like this story and join the conversation. 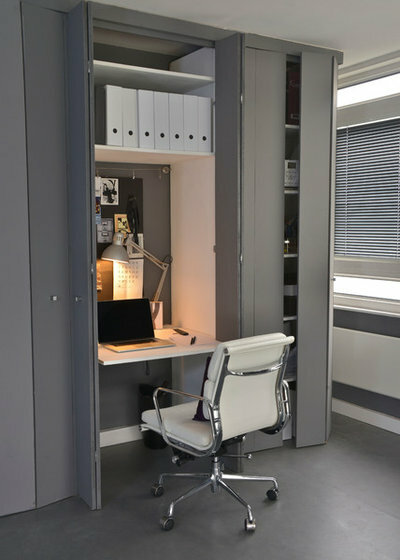 Hiding work spaces away in a cupboard, be they homework desks, home offices, kitchen appliance centres or even laundries, is a great idea, but often the doors on those areas create issues, or even hazards, when open; blocking traffic areas or simply getting in the way or blocking light as you work. Consider a pocket door, a mechanism that allows the doors to pivot 90° and slip back to 'hide' out of the way between two side cabinet walls. 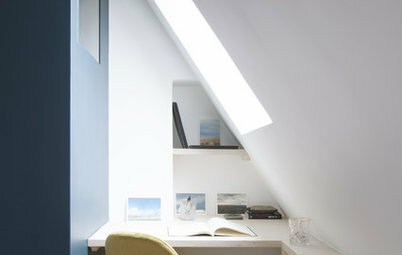 This creates clear walk areas behind you as you work, and avoids blocking of task lighting. 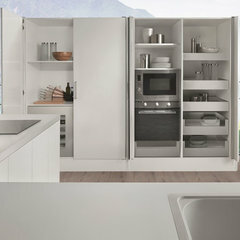 For NZ-based Houzzers, Fit suggest the Salice Eclipse pocket door, designed in Italy. 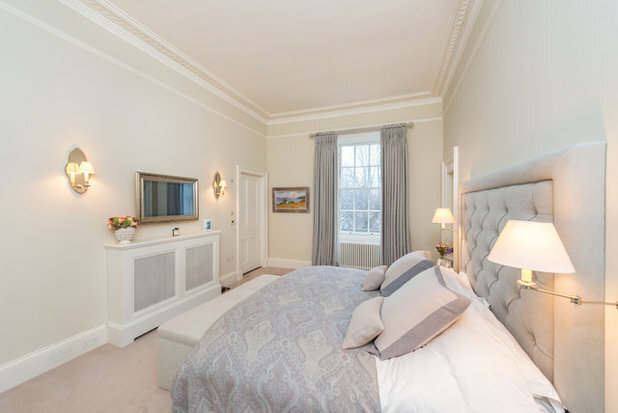 Check it out on our website here, or in our Houzz project here.